Avocados Australia says there is no evidence of a reduced demand trend, rather it has been increasing year by year. It follows a report in the Wall Street Journal suggesting stocks are falling dramatically because avocado demand has gone markedly down. It reported the Costa Group’s stock is down 38 per cent and has warned investors that it may miss its targets as demand for tomatoes, berries, and avocados has declined. However, domestic demand for Australian avocados continues to be steady, according to the industry body, with Australians consuming 3.5kg of avocado per person in 2017/18, off the back of a steady upward trend for the past 20 years. CEO John Tyas says it is the industry’s job to ensure it continues to grow existing domestic and international markets and develop new ones. The latest available data from Nielsen (to September 2018) does indicate a small decrease in the average amount spent ($39.90 compared to $41.80) and average weight purchased (5.1kg compared to 5.7kg) compared to the previous year. However, the percentage of households buying avocado grew 1 per cent, to 71 per cent. Figures from the quarter ending in December are yet to be released, however Mr Tyas says the records indicate a large amount of fruit on the market. He does admit that existing and potential new growers need to carefully consider their future plans based on the best information available. 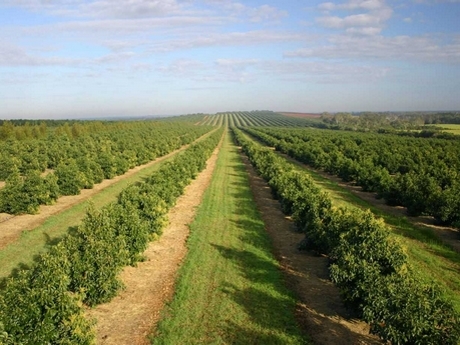 Avocados Australia invests heavily in industry data collection, analysis and reporting, and the 2018 annual OrchardInfo Report indicated Australia now has more than two million avocado trees in the ground.